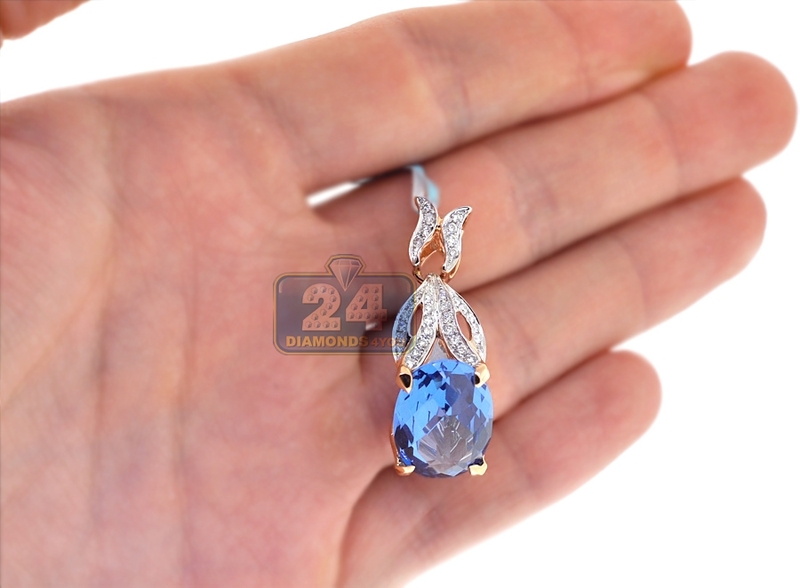 Our adorable topaz diamond pendant brings a fresh element to your ensemble! 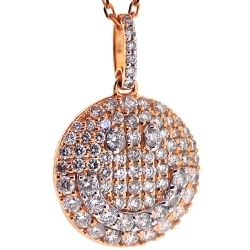 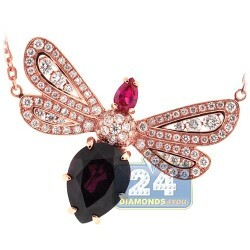 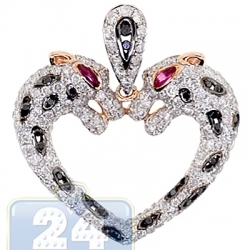 It is creatively handmade of unique 18k rose gold with highly polished sparkling finish. 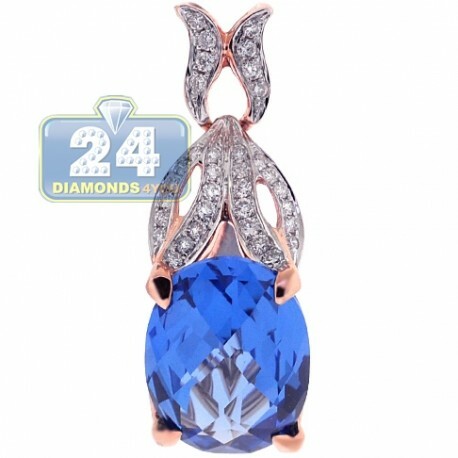 The drop pendant is encrusted with 13.40 carats of oval checkerboard-cut genuine blue topaz and 0.48 carat of icy white round brilliant-cut diamonds. 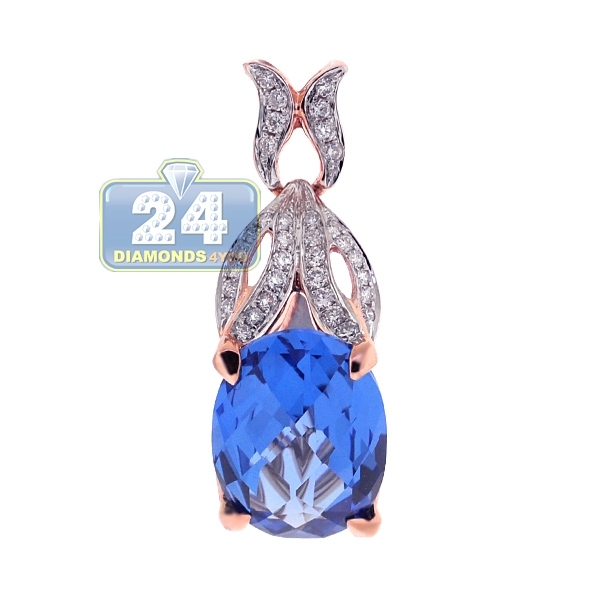 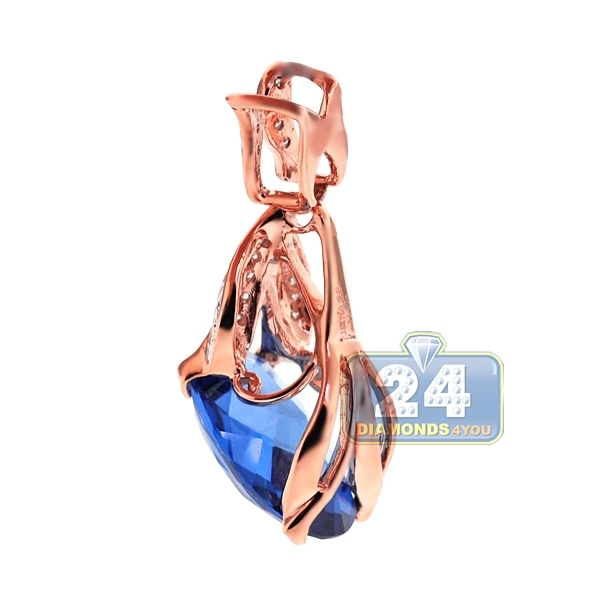 Our women's gemstone pendant measures 35 x 13 mm. This amazing drop pendant will be your favorite piece for special occasions!